Ironman Triathalon Photo Gallery page - in support of The Crackman for Kids Foundation. 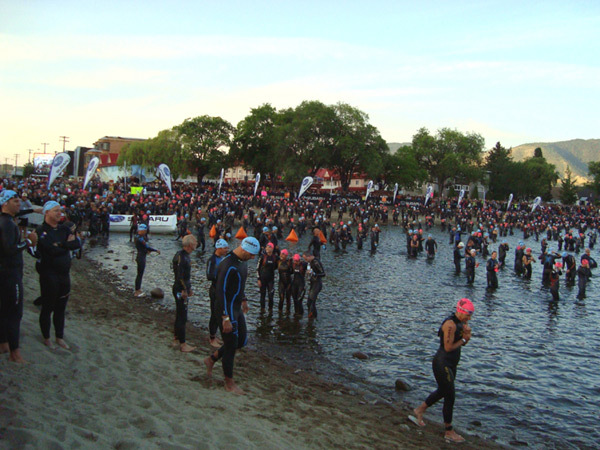 The crowd of competitors grows in the early morning at the 2012 Ironman Triathalon in Penticton, BC. Notice the men wear blue caps and the women wear pink caps.